When it comes to social media, Facebook is still the undeniable leader. The use of social media has seen a massive increase over recent years. As a modern online marketer, it is an excellent way to increase your brand awareness, drive traffic to your website and create a loyal following of customers. Ultimately it can generate more leads and sales for your business. And when it comes to social media, Facebook is still the undeniable leader. It is the number one choice for most marketers and the benefits of using Facebook ads for your business are countless. According to Avocado Social 78% of all internet users in the UK are using Facebook. They also state that a massive 40 million people, or 71% of UK adults can be reached with adverts on the platform. As an online marketer these numbers are just too significant to ignore. It’s not just the fact that these people are using Facebook that makes it such a significant potential game-player though. What’s even more compelling is the regularity with which these people are using Facebook; more than 30 million UK users visit Facebook on their mobile every day. There is no denying the fact that your audience is definitely on Facebook… it’s just a case of finding them! And Facebook ads are a great way to do that. Organic posts are a great way to share content and build engagement with your current followers. However, if you are only using Facebook for organic traffic then you are missing out on a huge opportunity. Rather frustratingly, Facebook has been slowly reducing the amount of visibilty business pages on Facebook have. According to Medium, if you have a business page, less than 0.5% of your followers on average will actually see your posts. If you want your content to be seen by more of your followers as well as potential new followers, you need to be using Facebook ads to boost your reach. Using Facebook advertising will actually increase your organic reach as well though. Think of it as a snowball effect - as more and more people see, engage with and share your ad content, the larger your audience will become. Facebook advertising isn’t just about creating conversions and driving traffic. Before they buy from you, people want to be familiar with your brand and know exactly what it is you have to offer. Don’t underestimate the importance of this stage of the customer journey! Building brand awareness should form a large part of your online advertising efforts and Facebook ads are the perfect way to do that. Hone in on your ideal audience using demographics such as location, age, gender, and interests. The targeting ability of Facebook ads is impressive. It allows you to hone in on your ideal audience using demographics such as location, age, gender, and interests. 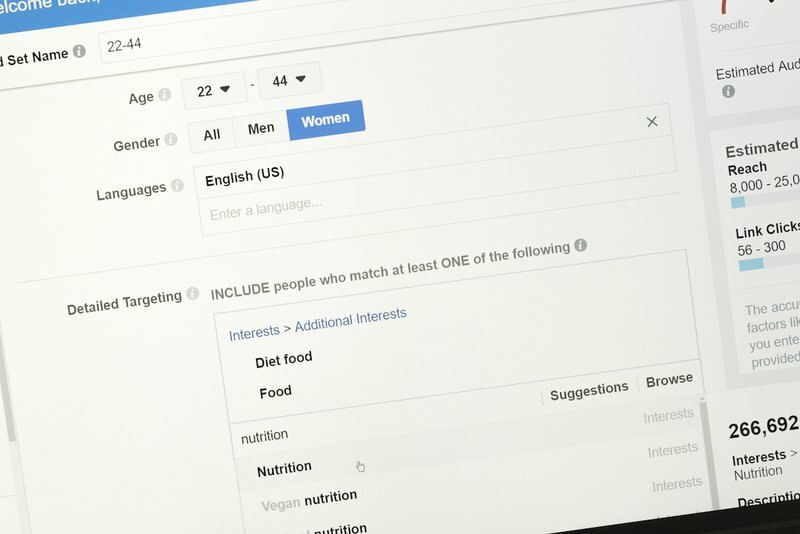 Not only can you target people based on these demographics but you can further refine your targeting based on people’s behaviours such as actions on your website, engagement with your Facebook page, their known likes, their buying behaviours and even life events. This gives you the opportunity to get your ads seen by the people who are most likely to engage with them and ultimately become your customers. It’s also perfect for nurturing your current leads in order to build loyalty and move them towards converting into sales. 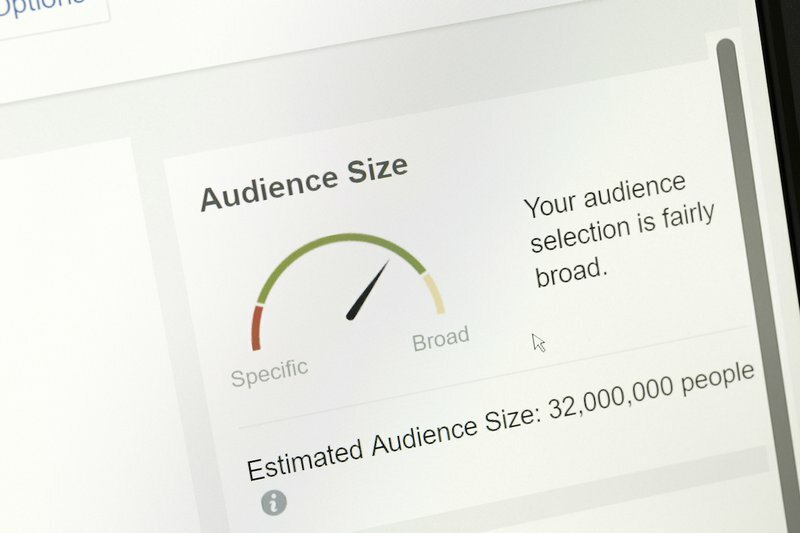 There is also the option to split-test your campaigns in order to refine your advertising efforts even more. For example, you could have two ads with exactly the same image and copy being sent out to two different audiences in order to identify the most effective one. All in all, Facebook ads are the most targeted form of advertising you will find and are likely to produce a higher ROI than other mediums such as magazine advertising. Setting up a Facebook campaign is quick and easy once you’ve learnt the basics. For first-timers, Facebook takes you though the process step-by-step from choosing your objective to defining your audience, budget and timeframe, through to actually creating your ad. There is also the option to use one of your existing business page posts as an ad. This makes the ad creation process even quicker. 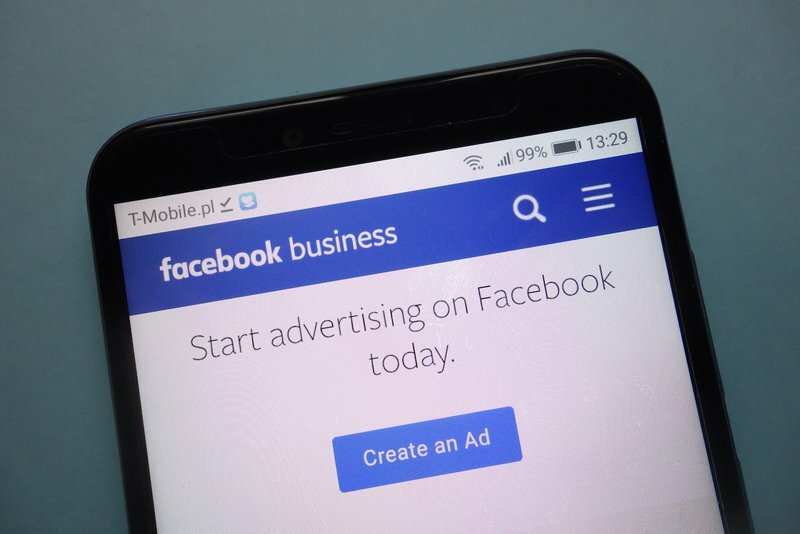 There are also a number of Facebook advertising tools to help businesses get the most out of their Facebook ads and make the set-up process easier. They can help businesses with all kinds of things such as analysing the results, finding the lowest possible cost per lead and actual ad creation. Facebook ads allow you to reach a large audience without spending a huge amount. Gone are the days when in order to get your business in front of thousands of viewers you would have to spend hundreds or even thousands of pounds on radio, tv, or magazine ads. When it comes to Facebook ads, you can spend as much as you want. You could spend around £5 and potentially reach a few thousand people! This is why it’s not just big businesses you will see advertising on Facebook - anyone can take advantage of it. You can also set either a daily budget or lifetime budget for each ad and increase/decrease it depending on how well it is performing. When your ad spend reaches that amount, Facebook will stop showing it. The more money you spend, the more people you will reach. The cost efficiency of your facebook advertising campaign all comes down to how good your targeting is. Facebook advertising is very fast. You can potentially reach thousands of people within minutes. One other huge benefit of Facebook ads is that they are real-time. You are able to view your campaigns as they are happening and adjust them accordingly if they are not delivering results as expected. With other forms of advertising such as magazine ads, this just isn’t possible… an ad either works or it doesn’t. This means that businesses can continually fine tune and test their advertising efforts in order to further increase their ROI. According to eMarketer, 95.8% of social media marketers worldwide consider Facebook to have the best ROI of all social media platforms. As well as allowing businesses to target their audiences very precisely, it also provides great insights into the results of each ad. Results are easily layed out showing you impressions, clicks, conversions etc, and even these metrics can be customised. You can choose what results you want to see based on their relevance to your business. The effectiveness of ads on Facebook doesn’t just come down to sales or conversions. Some businesses will be using them to build brand awareness and nurture people who perhaps are not quite ready to buy yet. It all comes down to your individual goals for your business. The ability to remarket is yet another advantage of Facebook ads. You can target people who have previously visited your website, given you their email address or used your mobile app. This means that, as they have already expressed an interest in your business, they are more likely to buy from you or sign up for something that you are offering. Remarketing can be an invaluable tool for businesses in turning warm leads into actual conversions. According to Acquisio, remarketing yields one of the highest returns on ad spend for advertisers. Another fantastic feature of Facebook ads is the ability to create “lookalike” audiences. This basically means that once you’ve found a high converting audience, you can clone them. Facebook will search for new people who share similar traits to your existing audience such as location, age and interests. You can then further refine your new audience if required. All in all, targeting to “lookalike” audiences can really help take the guesswork out of targeting new users and ultimately help businesses maximise their ROI. Did you know that using facebook ads could actually help your search engine ranking?Some people may question this because, as stated by Search Engine Journal, social signals aren’t a direct ranking factor. However, Google has confirmed that links shared on Facebook and Twitter are used as a ranking signal. According to one social media SEO study, the correlation between social signals and search engine ranking is very high. Check out our blog post for more information on how to create high-quality content that search engines like. Your competitors will definitely be using Facebook ads in order to increase their engagement and drive more traffic and sales (with your audience!). If you’re not already using Facebook ads to grow your business, then you’re missing a major trick. And here’s an interesting fact - out of the 60 million active business pages on Facebook, only 6 million of those businesses are actually actively using the advertising capabilities of the platform. This is a huge opportunity for you to put yourself ahead of the potential competition! Cambray are a small, friendly and experienced team based in Cheltenham UK. We have over 10 years of experience in various different areas of digital marketing including social media advertising. If you're looking to get started with Facebook ads or need help with any other area of online marketing, why not get in touch with us to book a free 20-minute consultation? Alternatively, fill out the contact form below to receive a call from one of our experts.